It's been a very busy year for the Shogun Audio camp and so now bringing a fresh pair of legs to the table is the formidable Icicle who drops his first solo release on the label. The Cold Fear EP is one to strike exactly into all those dare to listen, so be warned, this one's uber-deadly! Kicking off the carnage is Icicle's 'Cause with its lone kick drum intro, scattered bleep riff and an eerie dropout of warped bas tones to build the tension perfectly. Then in come the drums and we're off with the bass switching to an undulating pulse to blow clubs to bits! Watch out! 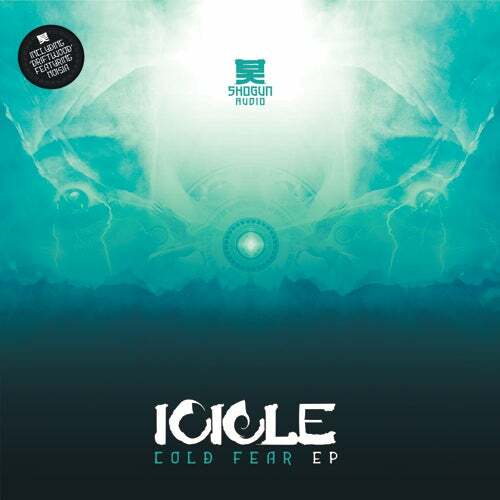 Moving on and the temperature drops even further for the title track 'Cold Fear'; a deep and menacing excursion into the twisted mind of Icicle who digs down low as ever to bring some massive bassline business. Stripped down breaks with old-skool edits flow with a disturbingly beautiful lead line to round off disc one nicely. Flipping onto vinyl two and we welcome what many would see to be a dream collaboration, for joining him in the studio are the mighty Noisia. The result is 'Driftwood'. a sub zero-roller that was one of the highlights of Friction's Assassin Mix CD. Never failing to move a dance floor this one is simply super-sick with it' endlessly bouncing b-line and tough drums to make you wince. 'Time' is the final track and again its chilling vibes continue the theme from the off. Spooked-out pads and a simple two-step break soon make way for a stomping sub-laden bass riff that'll have you cowering in the corner begging for it to stop. Only thing is when it does you'll be rewinding it ready to do it all over again!